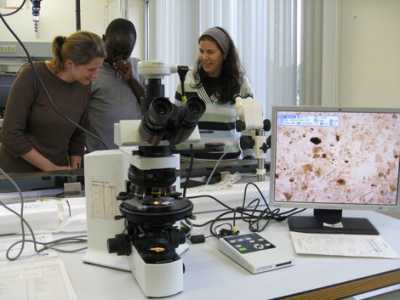 at at the MARUM – Center for Marine Environmental Sciences and the IODP Bremen Core Repository (BCR), University of Bremen, Germany. 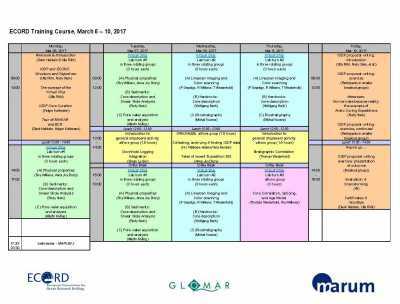 As host to one of only three IODP core repositories in the world – the only one in Europe – the MARUM in Bremen is an important hub for marine geoscientists. 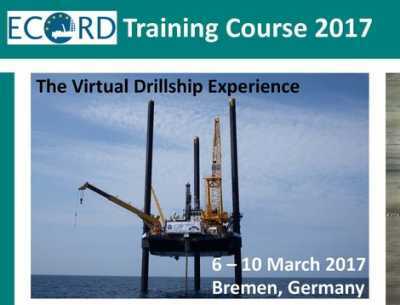 Taking advantage of this setting, the ECORD Training Course will provide a “Virtual Drillship Experience” for scientists from academia and industry. This one-week course offers a basic training focusing on the IODP core flow procedures, preparing the participants for sailing in an offshore drillship expedition, and instilling them with an appreciation for high standards in all kinds of coring projects. 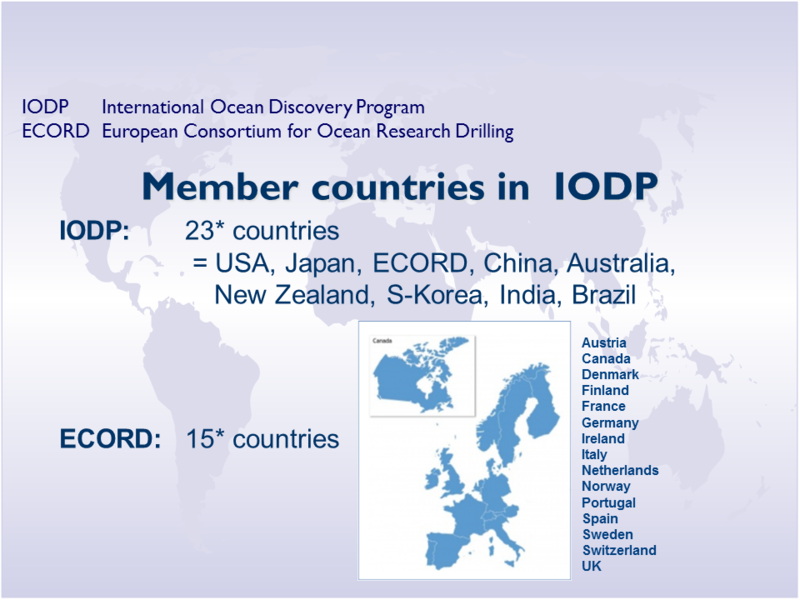 IODP-style lab exercises will form the foundation of the ECORD Training Course following the pattern of the unique “Virtual Ship” approach developed for the Bremen ECORD Summer Schools. 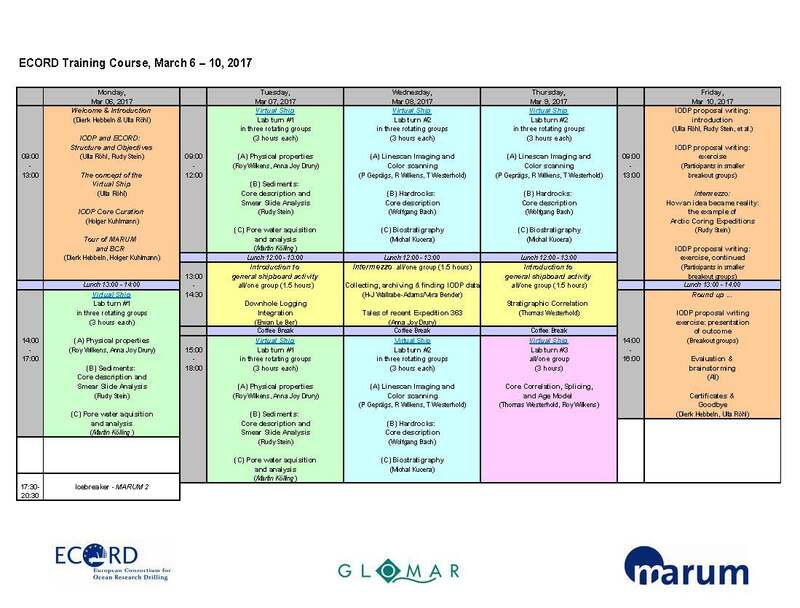 Physical properties - core logging, Sediment visual core description and smear slide analysis, high-resolution linescan imaging and color scanning, Biostratigraphy, Pore water acquisition and analysis, Hardrock core description. Core splicing and time-series analysis, Downhole Logging Integration, Data Management. Interactive session on defining drilling targets and strategies including drilling proposal writing. … were early career and established scientists from academia and industry from all over the world who have an interest in scientific drilling and development of professonial skills in core analysis. The application deadline is 9 January 2017. To ensure a most effective training the maximum number of participants will be limited to 30. Successful applicants will be notified by e-mail about admission from mid January until the end of January 2017. After receiving the acceptance letter, admitted participants will have to confirm their participation. Travel, accommodation and meals must be covered by the participants. 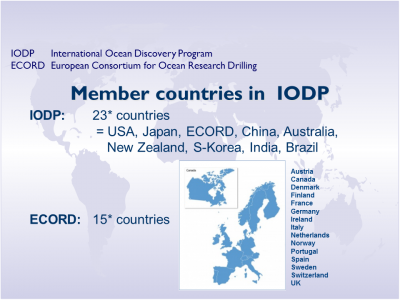 The course fees range from €50 to €500 and depend on the career level, the country the participants are affiliated to, namely its respective role in ECORD and IODP (see map to the right), and the sector (academia vs. industry). 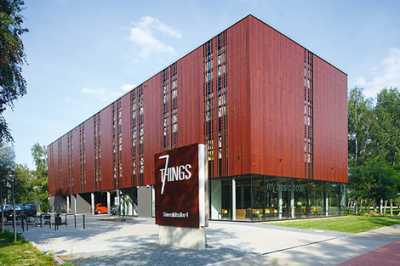 We have reserved a limited number of rooms at the hotel 7 things from 5 March to 11 of March 2017. Rooms are reserved until 23 January 2017. Price: 67,50 Euro per night and person inkluding breakfast buffet. 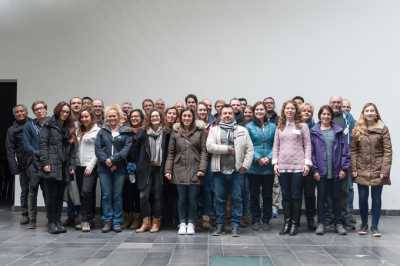 The ECORD Training Course is organized by Dr. Ursula Röhl, Head of the IODP Bremen Core Repository (BCR), and by Prof. Dr. Dierk Hebbeln, Graduate Dean of the Bremen International Graduate School for Marine Sciences (GLOMAR).